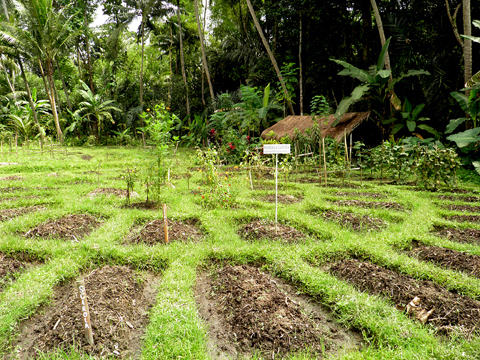 Permaculture Design Certification Coursewith Rico Zook and Jeremiah Kidd This is an intensive 17-days seminar, including hands-on experience in the gardens at Jiwa Damai. Learn how to develop sustainable systems which can be applied to all aspects of life through the observation and replication of natural patterning We will learn how to create regenerative systems that provide for our basic needs without compromising the environment. Using a variety of learning techniques and strategies. Permaculture is presented as an integrated design approach to create a sustainable human habitat. We present an innovative approach through modeling the structure of Permaculture directly in the environment. The topics are presented through lectures, design approaches, guest presentations, group discussions, exercises, hands-on projects, photos, movies, games, and site visits. Topics will include, gray water systems, appropriate technology, composting and nutrient cycling, water harvesting and storage, food forests and jungle gardens, natural building, alternative economics, aquaculture and mapping. Our international faculty brings a wealth of experience and knowledge to the program. Venue: Jiwa Damai Permaculture and Retreat Center is located on a four hectare property next to Banjar Bindu, Mambal in the district of Badung, Bali, in a small tropical valley. The flora and fauna are diverse, including coconut, and banana trees, ponds, a small river, plants and a jungle that is home to numerous traditional Balinese healing plants. The course fee includes room at Jiwa Dimai retreat center, Breakfast, Lunch, and Dinner, optional morning yoga, and optional morning meditation. Two optional field trips to other Permaculture centers on the island are planned and can be reserved and paid when registering. All participants will be awarded a internationally recognized Permaculture Design Certificate. Fee: International Students: US $ 928.00 Indonesian Students: please contact host for tuition info.